Perfect if you just graduated from Beauty School. You can choose to be an assistant for the next two years or you can take this program and be ready in half a year to skip the assistant position and you will be ready to go on the floor and take any job. Cutting the perfect prescision line, by incorporating and understanding tension. Watch Brooke raving about her private classes. Stylists travel from all over THE WORLD and the U.S to take private classes with Laara Raynier. MUST SEE! Watch our Latest Video Testimonials! We do offer payment plans, please contact the academy at (212) 995-9334 for more information. WHY TRAIN WITH LAARA RAYNIER? After a 30 year career working in NYC’s best salons from Barney’s New York to Warren Tricomi, from Runway shows to celebrities and having the privilege to have worked for and be personally trained by her friend and mentor, Roger Thompson, known as the Picasso of hairdressers, Laara decided to share her heritage. In 2010, Mastercutter Academy was born. 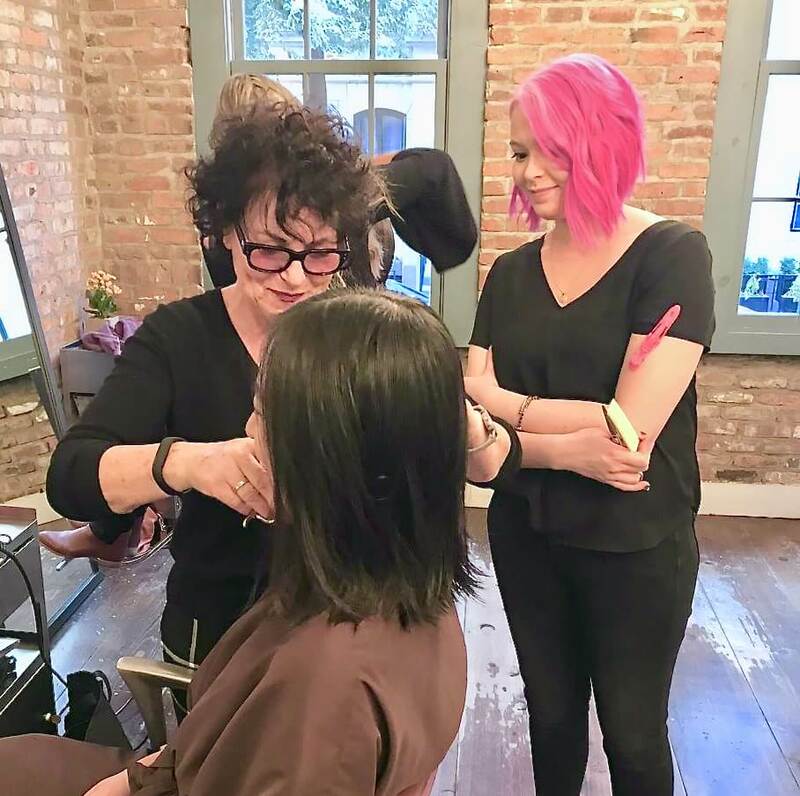 With stylists traveling from all over the world, Mastercutter Academy has built a reputation of Excellence, Inspiration and training like no other. Laara is #1 worldwide for teaching private classes. Her teaching is empowering, inspiring, resourceful, creative and honest. Laara’s mission is to share the unparalleled perfection of precision haircutting to everyone. To empower each stylist that comes to her, with the best education and techniques to help them build their confidence, career and repertoire. Deposits are non-refundable but can be used as a credit toward our services.